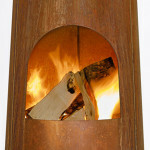 The design of outdoor fireplaces isn’t a field much explored by designers, but if you have one in your garden, patio or deck you’ve probably enjoyed having friends and family gather together to take in the warming glow. 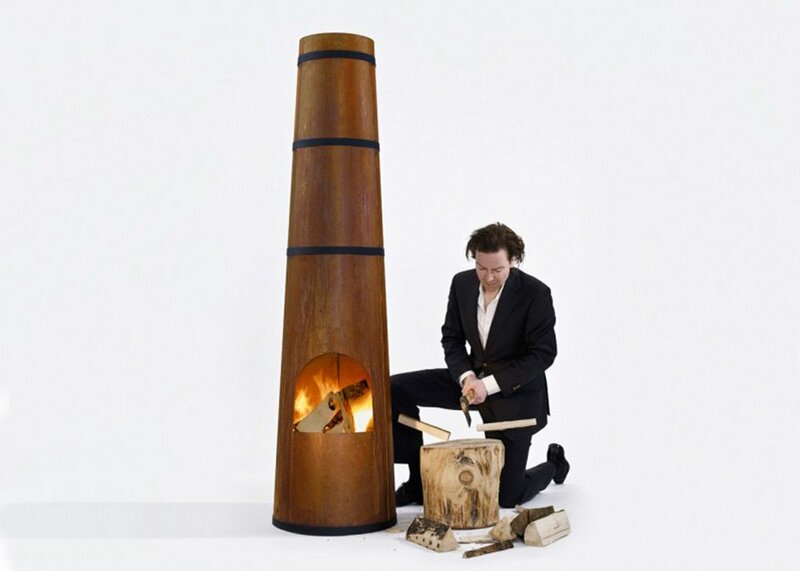 One designer that’s made fireplaces look especially cool is Frederik Roijé who recently unveiled a tall and lean fire pit with a gorgeous rusty skin. 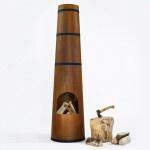 Inspired by the archetypal factory chimney, his ‘Smokestack’ has a stunning modern design for cozying up in style. 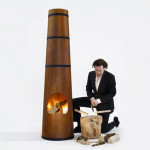 Dutch interior and product designer Frederik Roijé didn’t go unnoticed when he presented Smokestack at this year’s Milan Design Week. 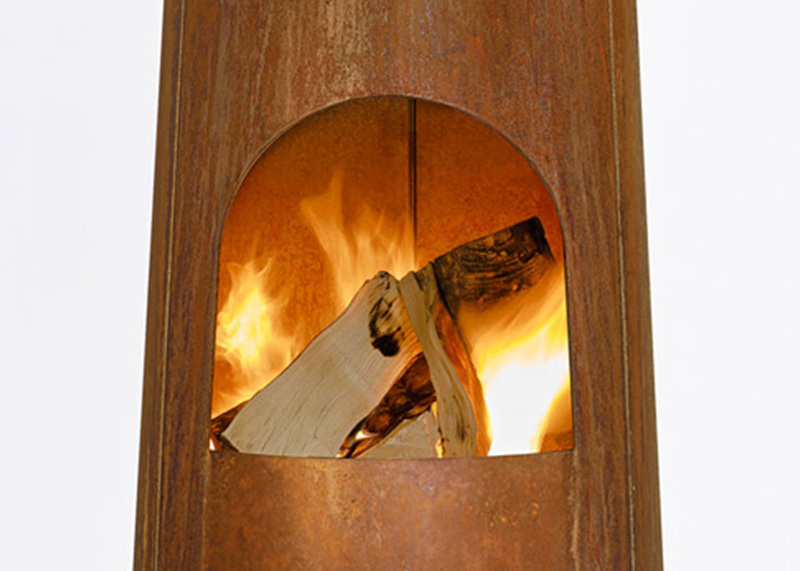 Featuring a large-scale presence and extraordinary elegance, the heater reaches 6.5 feet high. Taking inspiration from his childhood, Roijé pays homage to the factory smokestack. 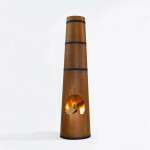 “The shape of Smokestack refers to memories from the past, being a landmark and symbol of progress,” says the designer. 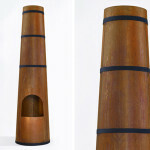 Smokestack is made of Corten steel and features a lovely autumn shade. However, on delivery, you’ll first see a white steel color. The material corrodes over time to become a rusty color that also forms a permanent protective layer. 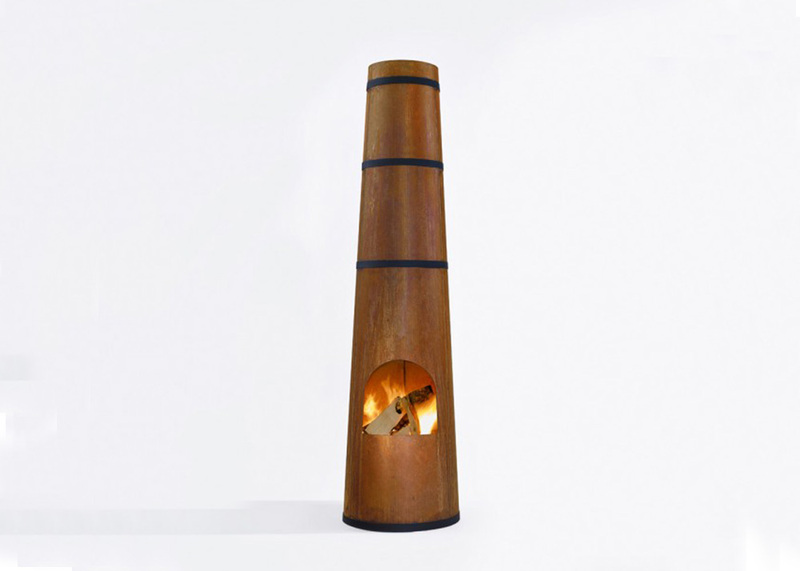 If you are looking for something that will brighten your garden or outdoor space, look no further than this neat Dutch design. 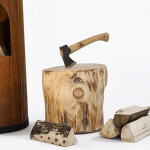 See more Dutch creations by Frederik Roijé here.